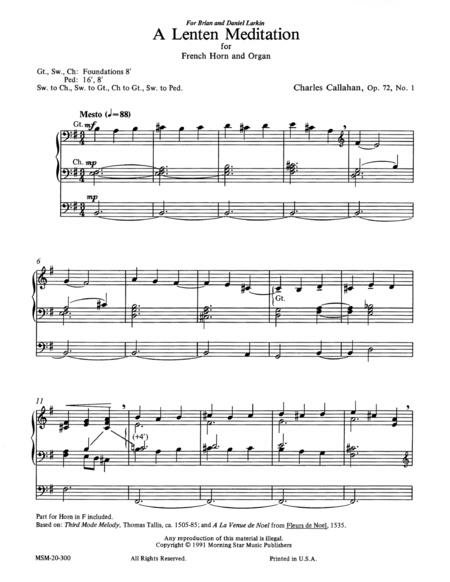 By Charles E. Callahan Jr. 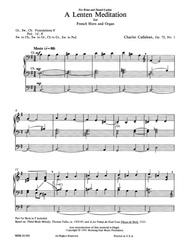 Composed by Charles E. Callahan Jr. (1951-). Sacred, Lent. Published by MorningStar Music Publishers (MQ.20-300-E). Warm setting of Tallis' Third Mode Melody. French Horn part included.